Manufacturer and exporters of hydraulic mount and other automobile accessories. Engaged in suppling and exporting of rubber components, o-rings, rubber mount, sockets & dust caps, washers & sealing rings, rubber bellows etc. Avion Hydraulic Tools Pvt. 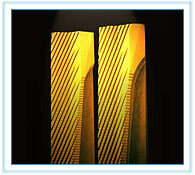 Ltd.
» Send Enquiry to Avion Hydraulic Tools Pvt. Ltd.
» Send Enquiry to Cepcon Engineering Pvt. Ltd.
We are leading manufacturer and exporter of material handling equipments, hydraulic stacker / electro stacker, hydraulic floor crane, drum carrier, wire reel lifter, lifting table, hydraulic jib floor crane. Manufacturers & exporters of hydraulic accessories. Manufacturing, exporting and supplying of high pressure hydraulic hoses utilized in automobile, agriculture, earthmoving, drilling, construction. Manufacturers and exporters of hydraulic bolt tensioner, hydraulic power packs. We are one of the leading manufacturer, supplier and exporters of hydraulic concrete block making machine, hydraulic deep draw press, hydraulic power pack machine, hydraulic-dock levelers, industrial hydraulic presses. We are leading manufacturer, trader and exporter of hydraulic directional control valve, dc hydraulic power packs, solenoid operated mobile valve, mini solenoid valve & motor pump, hydraulic cylinders, hydrostatic transmissions, piston motors and pumps & spares, hydraulic manifold system. » Send Enquiry to Tandem Hydraulics Private Limited. We are one of the leading manufacturer, supplier and exporters of hydraulic cylinder & system, 3-point linkage, forge top link & part, draq bar, stay straps, bills, stabilizers, pins. » Send Enquiry to Unilink Engg. Pvt. Ltd.